The Midwest’s largest gathering of genre films and fans, Cinepocalypse organizers are also very proud to partner with Creep Records for the release of their first vinyl record, the soundtrack to Jenn Wexler's acclaimed punk slasher THE RANGER. Accompanying it, Cinepocalypse and Creep Records will also release the film's score. The soundtrack features 20 tracks from a variety of underground icons including FANG (whose 1982 album "Landshark" was named by Kurt Cobain as one of his favorites), The Avengers, The Grim, and Dayglo Abortions. The synth-driven score is composed by Wade McNeil and Andrew Gordon Macpherson. Both vinyls will be released in multiple variants, with heavy tip on gatefold jackets, foiling, colored vinyl, hand numbering, and autographs. More special plans are in store , with a release date in 2019 to be announced soon - including plans for OG cassettes and CDs. Says Cinepocalypse founder Josh Goldbloom, “The festival is always dedicated to finding new ways to support the films we love so much, and as an obsessive record collector I couldn't be any more stoked to work with THE RANGER team on these releases. Like REPO MAN and THE RETURN OF THE LIVING DEAD, this is a legendary compilation of underground punk rock anarchy that we can't wait for you to discover - and mosh to." "We always wanted the music of THE RANGER to feel like a mixtape, so we're thrilled people will soon be able to experience it not only on *actual* cassette, but also a limited-edition vinyl!" said THE RANGER director Jenn Wexler. "Shout-out to Cinepocalypse and Creep Records for bringing this to life. From punk to parkland, the music captures the spirit of the film, so there's nothing cooler than being able to showcase the songs and score." 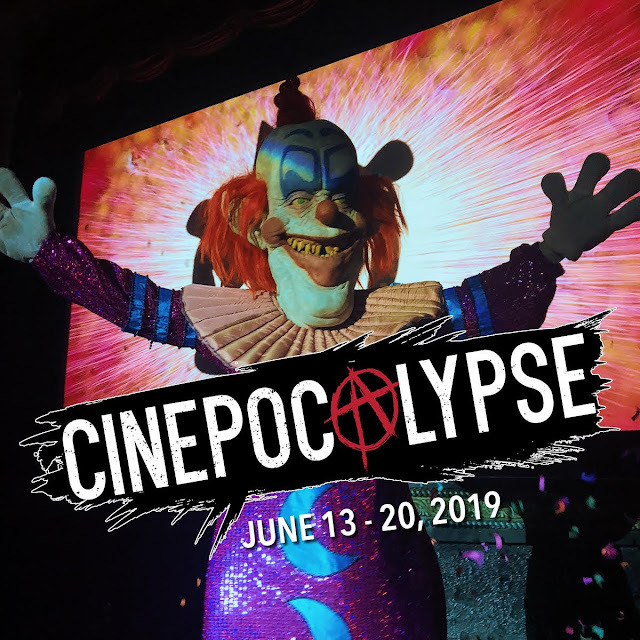 With the fest's 50+ incredible titles yet to be announced - alongside its amazing juries and guests - the third edition of Cinepocalypse aims to be bigger and badder than ever! The fest will reveal its first wave of films in April.